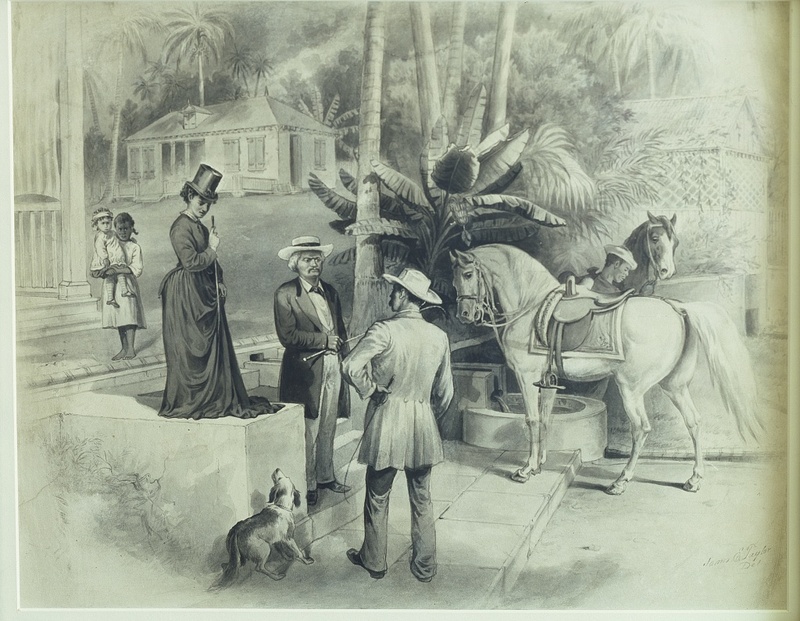 Art work depicting a Southern plantation scene, with a black slave girl caring for a white child. Image online, courtesy Library of Congress. Before the thought of freedom entered his mind, and before he was old enough to work the fields of a southern plantation, Frederick Bailey played with other children near his grandma’s cabin. He could not read or write since most slave owners believed literate slaves were dangerous slaves. School held no place in a slave child’s routine. In hottest summer and coldest winter, I was kept almost naked - no shoes, no stockings, no jacket, no trousers, nothing on but a coarse tow linen shirt, reaching only to my knees. On what kind of bed did he sleep? I had no bed. I must have perished with cold, but that, the coldest nights, I used to steal a bag which was used for carrying corn to the mill. I would crawl into this bag, and there sleep on the cold, damp, clay floor, with my head in and feet out. My feet have been so cracked with the frost, that the pen with which I am writing might be laid in the gashes. What of the food he ate? Was there enough to keep him well-nourished? Our food was coarse corn meal boiled. This was called mush. It was put into a large wooden tray or trough, and set down upon the ground. The children were then called, like so many pigs, and like so many pigs they would come and devour the mush; some with oystershells, others with pieces of shingle, some with naked hands, and none with spoons. He that ate fastest got most; he that was strongest secured the best place; and few left the trough satisfied. It wasn’t long before Fred himself met the end of the cowskin lash. Bos, Carole "A CHILD SLAVE" AwesomeStories.com. May 01, 2004. Apr 25, 2019.